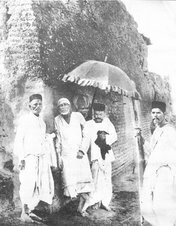 Sri Sainath Sarath Babuji is one the most intense devotee of Shri Sai Baba of Shirdi that i have seen. Today (November 13th 2010) i received a very sad sms that Sri Sarath Bauji has taken Samdahi in Germany. The body of this great devotee will be brought to Shirdi for final rituals. 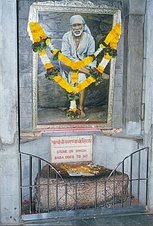 A very good web-site http://www.saibaba.com/ is also a part of this devotee's efforts. i happened to watch Sri Sarath Babuji in Saipatham Ashram in Shirdi a day before Dussera, in 2009. I had seen his picture on web long time back and had a wish to see him and meet him in person if possible. During the Dussera me and two other friends of mine happened to visit the Saipatham ashram or center whatever one may wish to call. As i was standing on the gate of the Ashram, waiting for my friend to arrive. My body was taken over by vibrations, the feeling of vibration was exactly that i feel in holy Dwarkamai. I knew i was standing on the gate which had some great spiritual significance and connection with Sai Baba. I do not have pictures and tried different google power searches to get images of ashram and videos of Sarath Babuji but in vain. So, will have to rely on words. As we entered the gate, on the right hand side there is an open hall with huge picture of Shirdi Sai Baba (Picture shows the same picture being prayed by Sarath Babuji). In front of picture devotees sit and chant the name of Sai Baba. 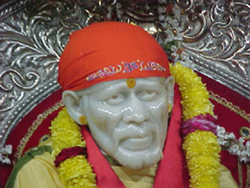 Devotees spending time in Shirdi should visit this place and chant Sai Baba with love and devotion. There is a small shop just in front of the hall, which sells few pictures of Baba, audio cds of chanting of Sai Baba’s name and video dvd called “Sparks from the Fire of Love”, love of Shri Sai . I bought the cds and the dvd. The books i already had. Two books are available for online reading Experiencing Saibaba's Shirdi and Arati Saibaba published by Saipatham. 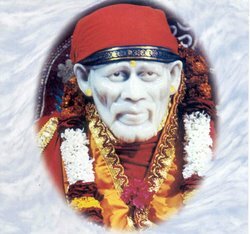 Also here, is a library with collection of books dedicated to Sai Baba of Shirdi. I asked the devotee doing the service or seva in the shop if a meeting with Sarath Babuji was possible? The reply came was that Sarath Babuji does give private meeting or talk in Shirdi. I replied that i was not much interested in talking, but wanted to sit in his presence for sometime and listen to him if he talked or answered somebody. He said that soon he will be arriving to listen to the chanting of name Sai Baba and i can have his darshan. So we waited. And soon, in minutes i could see him walking down the street towards the hall, where we were standing. i used to think many a times, that how it would have been for the devotees who saw and talked with Sai Baba while he was in His body. Can i ever have a glimpse of how it would feel to see my compassionate master walking on the streets of Shirdi? And there looking at Sharath Babuji walking on the streets, there was an amazing experience. 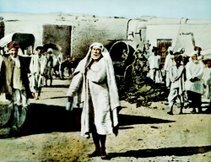 I felt, yes this could be the feeling of watching Sai Baba walking on the streets of sacred and holy Shirdi. Soon we had to leave. Later on by a close disciple of Sri Sarath Babuji we were told that we could talk with him in Arunachala, that is the only place Sri Sarath Babuji talks with visitors. There is very good information of Sharad Babuji on the blog dedicated to Arunachala and Raman Maharishi click here to read it. 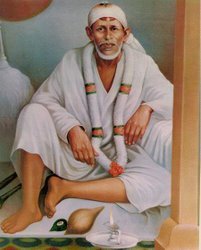 Sri Sainaathuni Sarath Babuji is a great devotee of Shirdi Sai Baba. His first teacher had been Acharya E. Bharadwaja, a man who had done much in the 1960s and 70s to spread the teachings of Shirdi Sai Baba. 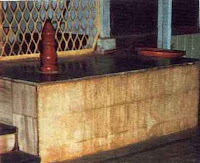 Sainaathuni Sarath Babuji’s devotion to Shirdi Sai became so intense, he began to acquire some of the wish-fulfilling powers that Baba was famous for. He never claimed to be doing any of these things himself. 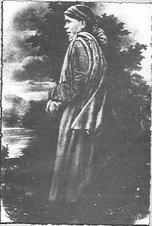 Some more information on Sainaathuni Sarath Babuji can be read here. A close devotee of Sri Sarath Babuji told me two very good experience of himself and Baba’s grace working through Guruji (Sarath Babu). Those experience might follow this post. 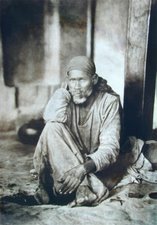 One of the greatest devotee of Shri Sai , from whom Baba’s grace worked vigorously and helped and guided many, has left the body to be one with the Master Sai Baba. Truly a great loss. Even while watching the video dvd which i bought, it gave great push to devotion of Baba. I could feel that Sarath Babuji’s each and every cell was drenched with Sai’s love. When he looked at Baba’s picture or idol, i could feel a pleasant “aaaaahh” in Sarath Babuji’s heart. While the devotees chanted, i could feel that his ears listened intensely and yearned to listen to just one name “Sai Baba”. Let’s chant the name “Sai Baba” with love. Let’s listen to the name “Sai Baba” with love. Let our ears and heart yearn to listen to the name “Sai Baba”.